There are both advantages and disadvantages to moving further away from Melbourne’s CBD. 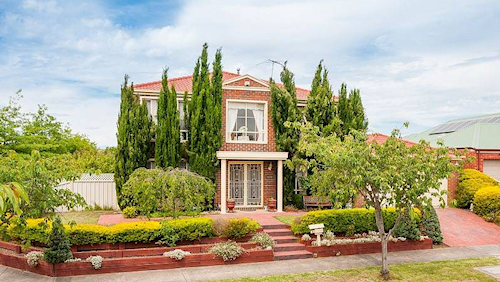 Buying a house in the outer suburbs may be the only choice for many, unless they are prepared to give up dwelling space and a garden by living in an apartment. With house prices growing by 6.6 per cent so far this year (RP Data), affordable homes close to the CBD are becoming further out of reach for first home buyers and upgraders alike. A recent study conducted by REIV confirmed the long-term trend for younger buyers to move to outer Melbourne suburbs. These buyers are often more price sensitive due to having lower equity. Cragieburn, Pakenham, Point Cook, Berwick, Tarneit, South Morang and Epping are all proving to be popular metropolitan areas for this group of buyers. Regionally, towns such as Traralgon, Mildura, Shepparton, Warrnambool and Grovedale are also well-liked. One of the advantages of moving out to new suburbs and regional towns is that they offer more stable long-term property growth. The recently released Ryder report found that over the past ten years, outer suburbs have provided better median price growth compared with upmarket suburbs. “In every major city, the list of top suburbs for long-term capital growth is dominated by cheaper areas,” the report said. The major down side of moving further out is the tougher struggle for work-life balance. Data from Bureau of Statistics show that Melbourne is home to the four postcodes with the fastest population growth nationally, with some suburbs doubling their population in the five years to 2012. Unfortunately, infrastructure spending has not kept up pace with population growth, meaning that roads, public transport and schools are unable to cope. Carolyn Whitzman, an associate professor of urban planning from Melbourne University, studied the fast growing municipality of Wyndham. She said one-third of residents travel more than two hours to and from work each day. To keep up with the current rate of growth, one or two new schools will need to be established every year for the next twenty years. Data gathered by the Leader also suggest that many outer suburbs are hot spots for home repossessions by lenders. Cranbourne Information and Support Service executive officer Leanne Petrides believes that cheaper outer suburbs are where people have the most difficulty repaying their mortgage. She added that residents of those areas have to travel far to get jobs or work casually, increasing their chances of being dismissed. This view corroborates with recent economic modelling which states Melbourne’s south-eastern fringe suburbs are more vulnerable to job and home loss in economic downturn.